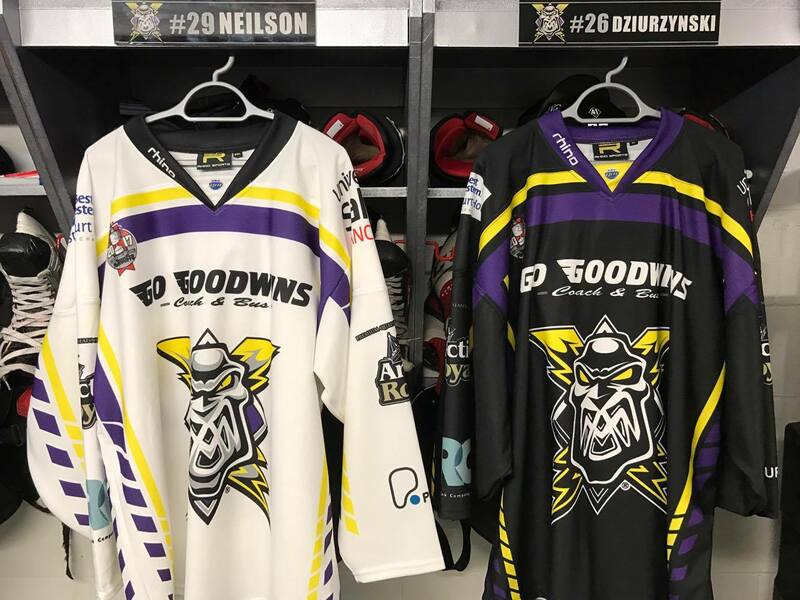 Your Go Goodwins Manchester Storm are delighted to reveal their limited edition jerseys for the 2017 Elite League Playoffs! 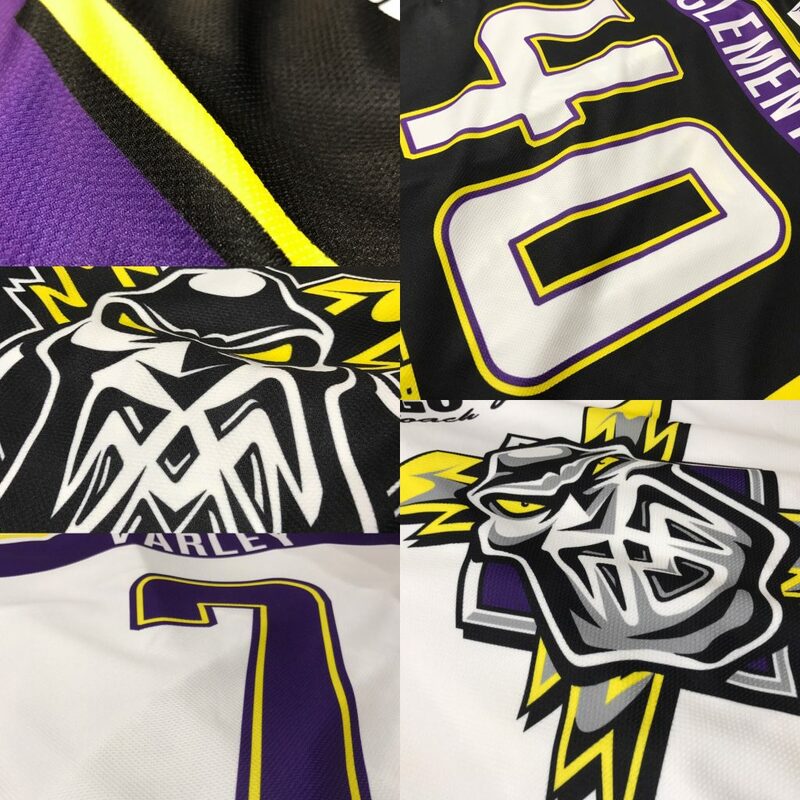 The jerseys, which will be worn by Storm for all 2017 playoff games, have been produced by Rhino Sports. Please note, these are limited edition jerseys, and there are NO replicas of theses jerseys available to buy. 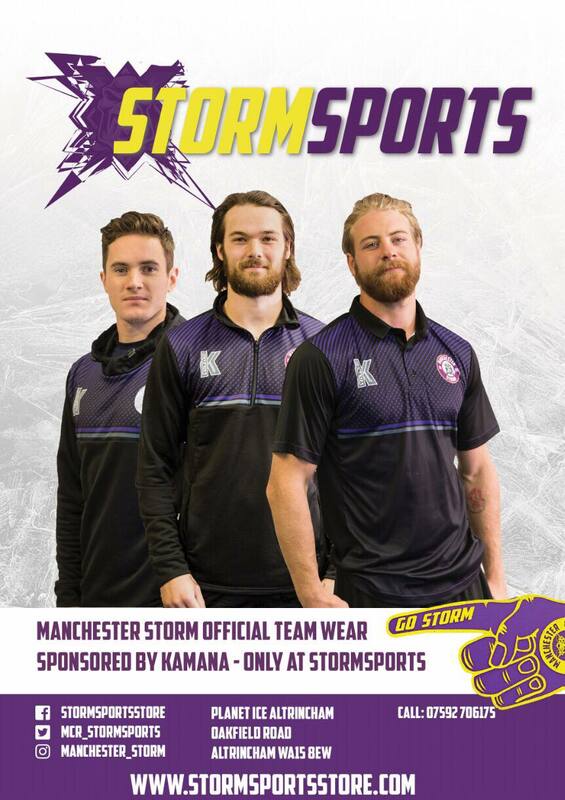 You can see your Manchester Storm in these limited edition jerseys starting from this weekend, when they take on the Cardiff Devils in the quarter finals. Starting on Saturday when they travel to the IAW, before returning home to face the Devils on Sunday 2nd April! Faceoff is at 5:30pm and tickets can be ordered online, by calling the box office on 0161 926 8782, or in person at the Box Office!